LIPSMACKING CHART HERE from Unilever posted by @fed_speak that needs no explanation. (Click here to see full-screen image of the chart). 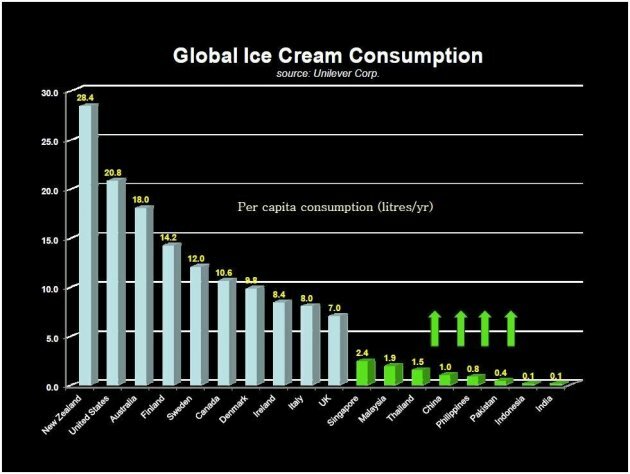 Email “Chart: Ice-cream consumption per capita around the world”. Feedback on “Chart: Ice-cream consumption per capita around the world”.